Nifty was range bound today and was able to stay above the critical level of 5800-20. This will be the support, below which markets will be bearish. Upward momentum will be good if Nifty crossed 5870 and stays there. 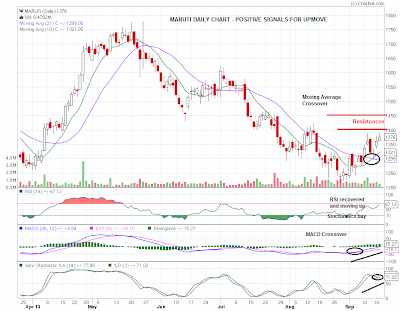 Targets are 5890-5900 followed by 5925. In yesterday's pre-market calls, we made profits despite the range bound and volatality. 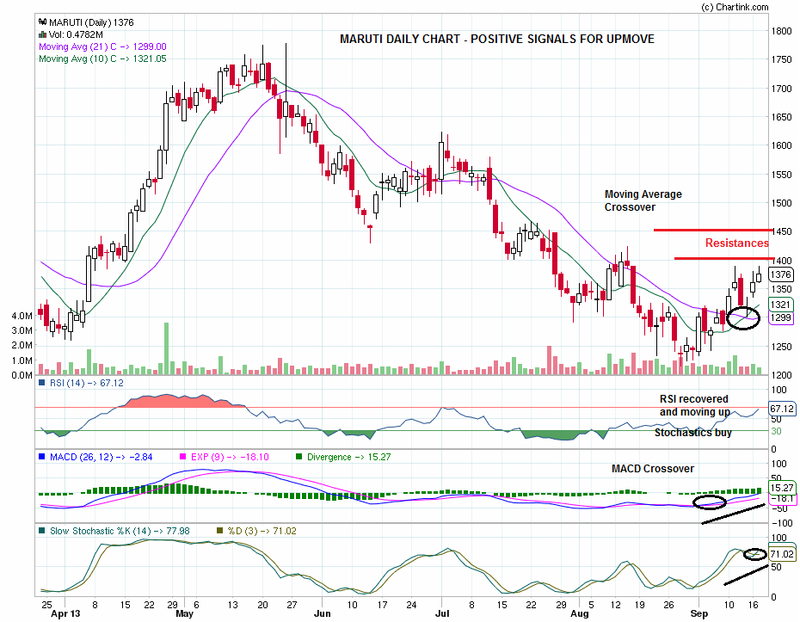 Maruti is quite positive for short term in the charts. Swing traders can enter above 1400 for a target of 1450-1500 with an SL at 1335.